You’ve probably heard the expression “you can’t judge a book by its cover”. But what about our written work products? No matter how good the content of our reports – it’s the cover that the reader sees first. And first impressions are important. Are you more likely to look at a report that is professionally presented to you or one that looks like it was just slapped together? And the way it is presented speaks volumes about the person and the business that has prepared it. Who would you rather do business with? A company that takes little care in its image or one that strives to look professional – a business that means business. You’ve worked long and hard on your proposal, report or employee handbook.You want to ensure it gets read and is taken seriously by your intended audience. You don’t want it arriving looking as if it was someone’s high school essay assignment or like it has been through a major battle – dirty, coffee stained, torn or ripped. By taking a few minutes before you send it on its way, you can make sure it gets read and is taken seriously by simply giving it a custom report cover. Easily done and affordable – here are five methods to quickly fabricate your report covers. By laminating your cover using a MasterBind Pouch Lamination Cover you will make sure that coffee drips or grime will be easily wiped off while giving a professional appearance to your report. Just layout and print your cover page and laminate. The bonus is – a laminating pouch cover is an inexpensive way of presenting your report. 2. Clear cover using coil, comb or wire to bind your work. Very easy – your first page is your cover page. Just choose how you want it bound – coil, comb or wire. Professional and durable. 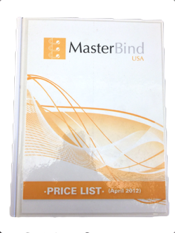 By using a stamping kit such as the Masterbind Hot Stamping Kit, you can emboss a message, your logo or title of your report on the cover. Very professional and rich-looking. 4. Hard cover with window. 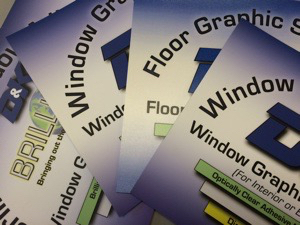 For a more durable application without having to do anything to the cover, you can use a Unibind Hard Cover with window. It comes with a rectangular window through which the title or custom message on the first page can be seen. Extremely tough yet still professional looking. Having your custom report cover made with ProBind preprinted covers is a very convenient solution to tailor your report covers. Any of the above will present your work and your company in good light. Whatever method you chose – do not let your work go to its audience without a custom report cover. Next Post:Why Should I Put UV Coating on My Trade Show Posters?